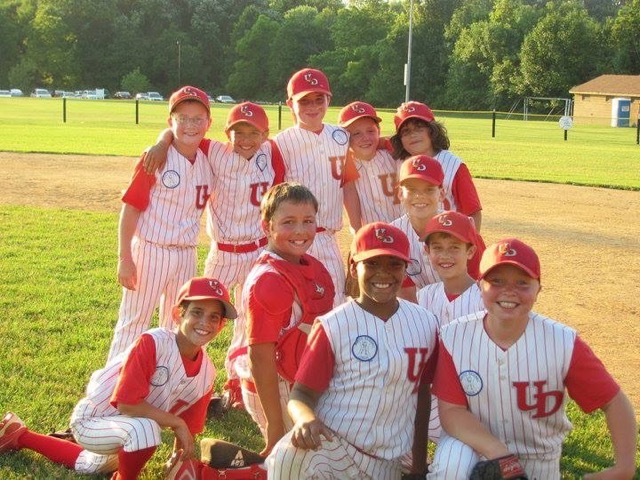 UDJAA Baseball offers an extensive travel program for kids who desire a higher level of competition. Our travel teams participate in the Suburban Travel and American Legion leagues and in 2019 offers teams from 8U through 14U. While travel baseball offers kids a great opportunity to enhance their skills in a more competitive environment, it also requires a serious commitment for players and their families. Trying out for a team indicates your willingness to commit to the team and be present for games and practices. All players who participate in the 8U - 12U travel program (Cal Ripken Division) are also required to play in-house baseball. Their typical week will include 2 travel games (Friday evening and Sunday afternoon), 2 in-house games (1 weekday and 1 Saturday), and one or more practices – resulting in at least 5 days of baseball each week of the season. Our UDJAA Travel Baseball Season for 2019 will run from approximately April 1 through June 30. District playoffs and tournaments may be played after this date. Travel for each away game should be no more than 30 minutes each way. If there is enough interest and enough travel quality players, we will have up to two teams at each level. Our oldest Spring travel team is a 14U team playing in the Babe Ruth division of the Suburban Travel League. UDJAA also offers Summer travel baseball with 13U teams playing in American Legion's Prep division, which runs from mid-May through July. All players for all teams will have to tryout, there are no predetermined players. All players must live within the Upper Dublin Community. If you should have any questions, please feel free to contact the coach for your players age group.